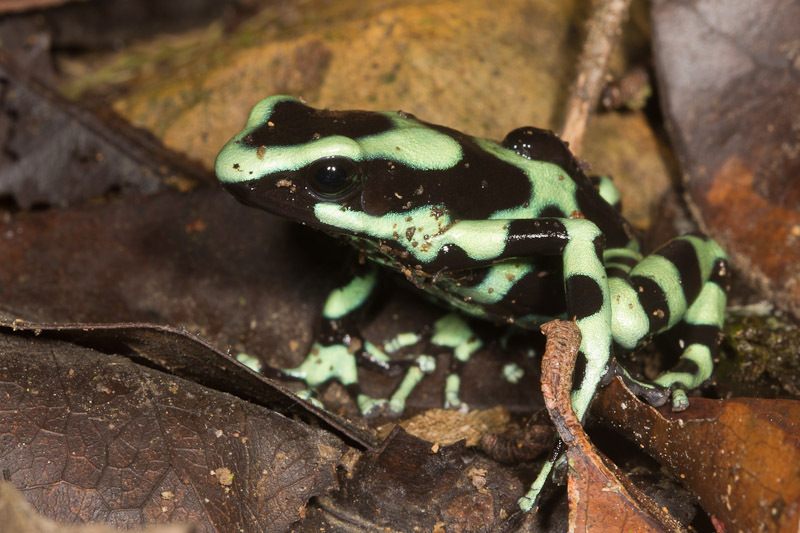 Unlike the drab poison dart frog I posted recently, this one lives up to my expectations of having bright warning colors. Do you notice anything strange about this frog’s back? Take a closer look. All Costa Rican dendrobatids lay their eggs on the forest floor. Parenting behaviors beyond that vary by species. One or both of the parents care for the eggs, keeping them moist until they hatch (sometimes by the male urinating on them). 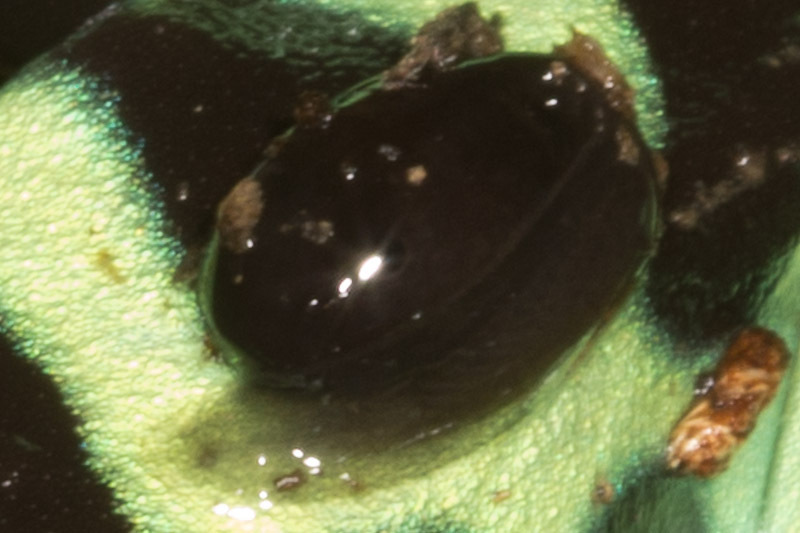 After hatching the tadpoles are carried by one or both of the parents, sometimes singly, sometimes en masse, to suitable sites to complete their development. 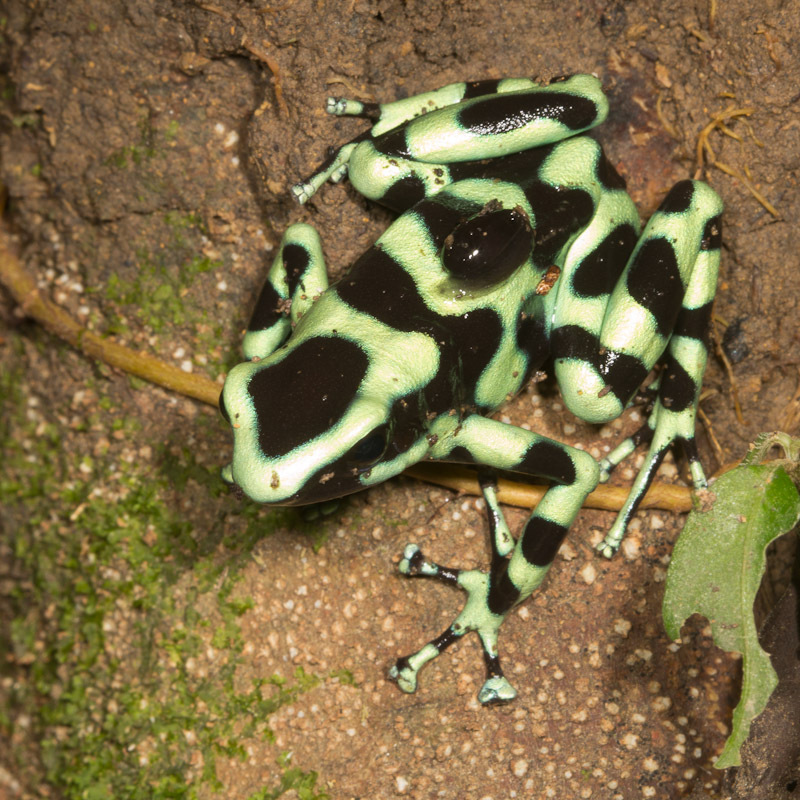 In this species, Dendrobates auratus, it’s usually the male that ferries the tadpoles, one at a time. He will seek out a small pool of water, in a tree hole or a bromeliad perhaps, to deposit the tadpole. This frog was difficult to photograph. It just wouldn’t stay still. This is the only other shot that I didn’t end up deleting. Thanks for the photos! I am doing a presentation on these frogs and I couldn’t manage to find any other photos of them carrying their tadpoles : ) This is really helpful!